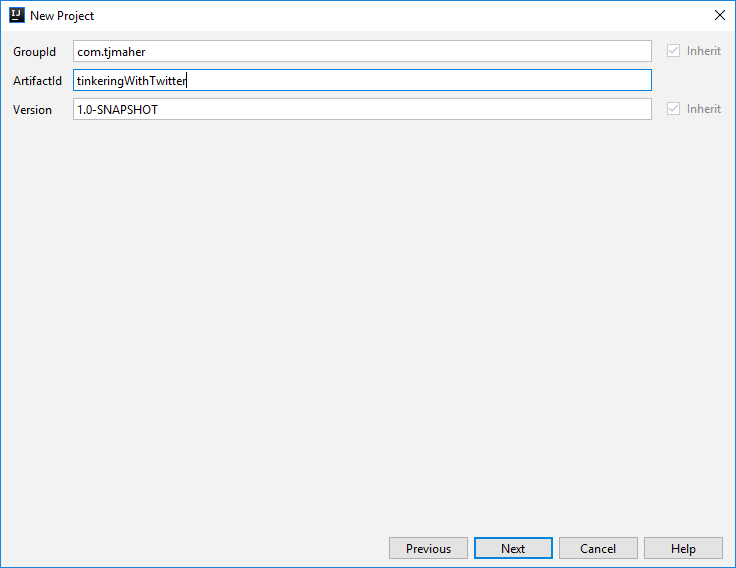 This is Part Three of a multi-part blog series on putting together a basic API test framework for the Twitter Search API. Care to go back to the beginning? How to generate credentials such as the Consumer Key and Access Token. For this entry, we will be walking a user through setting up an API development environment with IntelliJ, Java, and Twitter4J. 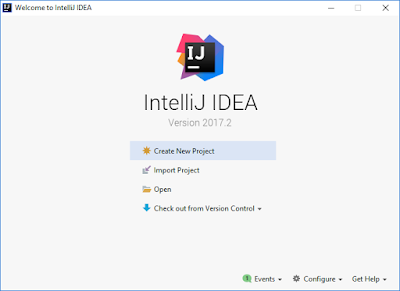 Run IntelliJ IDEA. The main splash screen should appear. From the splash screen, select "Create Project". This time, let's create a Maven project. Select "Maven" in the left-hand menu, make sure that Java 1.8 is selected, and hit "Next". Select Maven, the Java 1.8 SDK, and choose "Next". What do you want to use as a group id? Since I have my website "tjmaher.com", I used that as a package name: com.tjmaher. What do you want to call the project? I selected TinkeringWithTwitter as a name. Select "Next". 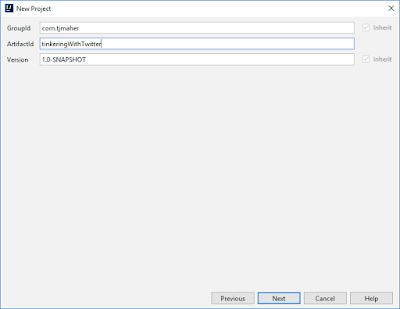 Enter a group id, artifact id, and keep the default snapshot version. Select "Next". Select "Finish" on the next screen. Your Java project is now set up! Go to the pom.xml file that was created automatically in the root folder of the project. 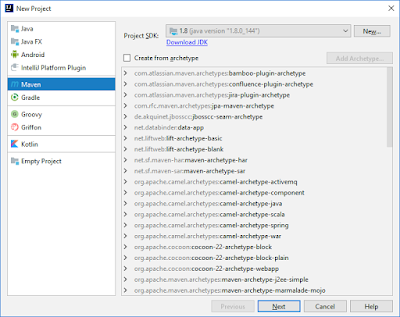 The Twitter4J Java Library should automatically download. We will include the test framework TestNG. Once you are at the root folder of the project, create a new file by going to the horizontal menu, and select File -> New -> File. Create a new file "twitter4j.properties". Did you create a new Twitter account, create a Twitter app, and get credentials that this project could use? If not, follow the instructions. Cut-and-paste the consumer key, consumer secret, access token, and access token secret into the file, replacing the asterisks. ... Now, our project is all set! Next, we will work through posting Tweets to your Twitter account using Twitter4J!